We're a community led farm run on agroecological principles; managed for people and wildlife. the land won’t take care of you. Upon this handful of soil our survival depends. and our shelter and surround us with beauty. Abuse it and the soil will collapse and die, taking humanity with it. as close to us and everyone in the world, as universal as a bird? We're based near Haddenham, between Ely and Cambridge, in the Fens. A unique part of England; dykes and drains divide the fertile farmland, and restored fen habitats. It's a flat land where the skies are grand! Willderland farm is a 4.5 acre community farm, based near Haddenham, between Ely and Cambridge in the Fens. We established ourselves as a membership organisation in 2015, with the aim of growing food sustainably, supporting wildlife & benefitting the wider community. Grazing livestock We will maintain and improve the grass sward, using seeds of local provenance and seasonal grazing livestock. Fruit production & chickens We recently established a fruit orchard, containing apple, quince, plum, green gage and cherry trees. We intend to install fencing to enclose chickens, who will keep the soil clean of fruit pests and enjoy a habitat close to their natural one (they are descended from jungle fowl). Market & community gardens We are gradually adding to the market garden with raspberries, gooseberries, black currents, rhubarb, already in place. We have yet to establish the community garden, but it will be managed for small scale growing projects, to benefit schoolchildren, or vulnerable members of the community (for example). Wildlife We want to enhance the land with pollen and nectar rich plants, to help the bees, butterflies, and other insects. 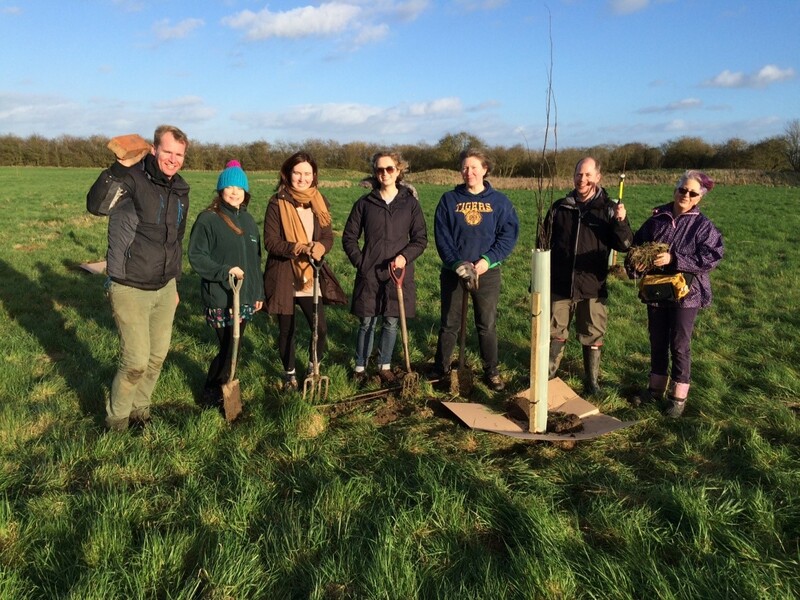 We would like to plant more trees and put up bird boxes for birds, and maintain our long grass margins for small mammals and overwintering invertebrates. We have many other ideas for the farm, everything from: growing shiitake mushrooms on oak logs to creating a pizza clay oven, and there will be a Music and Cider festival each harvest! So please find out more about how you can become a volunteer of this fun and worthwhile venture. Here are some of things you can get involved with when you become a volunteer. Attend farm volunteer days and learn about sustainable agricultural methods. Receive some of the fruits of your labour, when you visit the farm. Understand your local widlife and participate in our wildlife survey days. Love Music? Love Nature? And possibly a cider or two? It's great to leave London for the weekend & spend time on Willderland farm, relaxing and reconnecting with nature. I’m really excited about helping out with the wildlife surveys, and putting up some nest boxes for the owls. I just like having a laugh on the planting days, and I’m looking forward to doing some moth trapping. Like what you see? We can't wait to meet you and start sharing the benefits of our community. Get in touch and we'll answer any questions you may have.